Born:	Oneonta, New York; 37 years old. Lifetime Area Resident: Andrew was born in Oneonta and grew up in nearby Stamford. His family's roots go back in both Delaware and Otsego County to the early 1800's with his third great grandfather having served in the Civil War with the 144th Regiment of Delaware County. Extended family still lives in Stamford, Harpersfield, and Oneonta. As a child, Andrew attended Stamford Central School and the First Presbyterian Church of Stamford. His first job was working at the Boy Scout camp on Crumhorn Mountain in Milford. After college he served a year of full-time community service at an Americorps program based in Delhi, New York, and returned full time to Oneonta after Syracuse University College of Law. Professional Background: After College Andrew volunteered in Americorps and later served as a child protective caseworker in the Delaware County DSS in Delhi. While attending Syracuse University College of Law, he volunteered with Vera House in Onondaga Family Court helping victims of domestic violence secure orders of protection. 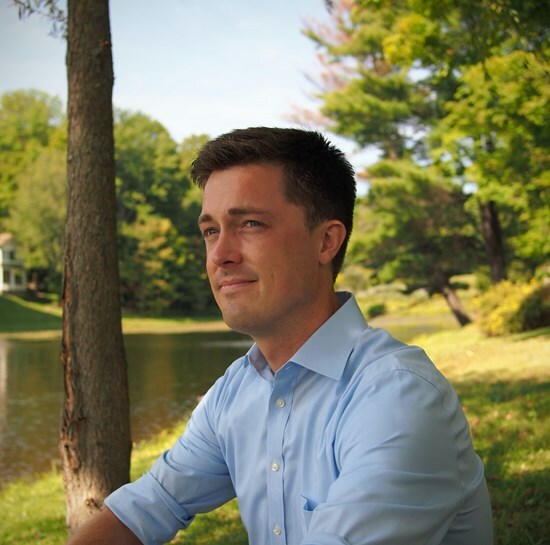 After law school, Andrew took and passed the NYS Bar Exam and decided to stay in the area where he grew up. After commuting from Oneonta to a law firm in Stamford for several years, he opened a law office in the City of Oneonta in 2011. Andrew's legal work has led him to advocate for clients across New York in Town and County Courts, 3 of the 4 Appellate Divisions, and the United States District Court NDNY. Since 2012, Andrew has also been an administrator at SUNY Oneonta, acting as a legal and civil rights resource to employees and students and ensuring compliance with State and Federal law. In that role he has engaged in institutional strategic planning and led the effort to create or update several College policies, particularly around Title IX and sexual misconduct issues. He works closely with survivors/victims of sexual assault to uphold their rights and hold perpetrators accountable. Community Service: From a young age Andrew's parents showed him the importance of community service and he has been active in service ever since. In Stamford Andrew was active in school, Church, and Scouting. In Oneonta he is a member of the Oneonta Rotary Club, and previously chaired the Youth Exchange Program. Andrew also have served on the Board of Orpheus Theatre, the Board of Directors of the ARC Otsego and has held membership or volunteered with many other local groups including the Otschodela Council BSA (Life Scout), Oneonta Family YMCA, Otsego County Chamber of Commerce, the Hanford Mills Museum, and the West Kortright Center. Andrew is grateful to continue community service and improvement through local government, first as an Oneonta Town Councilman and Deputy Supervisor for two years and now two terms as the County Representative for Oneonta. Personal Background: "I love Oneonta and Otsego County and am committed to making my life here. This is where we have built our home, family, careers and business. The future of our community is vitally important to you and me and I hope to help bring positive change to it. I am 37 years old, married and live on the West End of Oneonta near Greater Plains School. In my free time I enjoy hiking, kayaking, and camping in the Catskills and beyond."